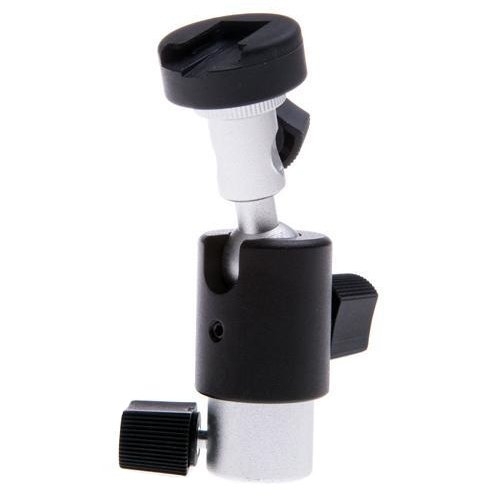 The MC1033E bracket allows a hot-shoe mountable flashgun / speedlite to be attached securely to any light stand with a standard photographic spigot fitting. 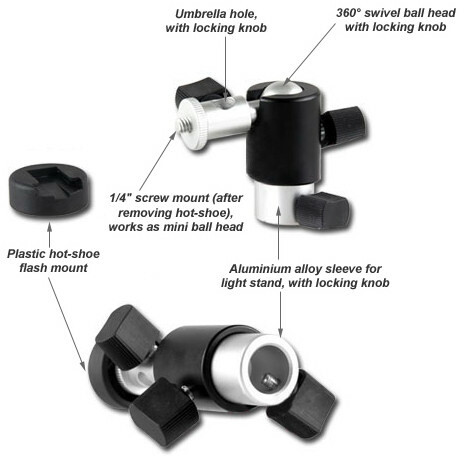 It features an umbrella receptacle to allow an umbrella to be positioned for either shoot through or bounce. 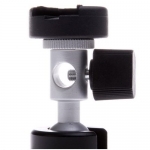 The ball and socket mechanism allows ultimate flexibility in adjusting the angle and position of umbrella and speedlite. The insulated cold shoe mount on top (for mounting flashguns / speedlites) is also removeable, and once removed, reveals a 1/4” male screw thread, allowing any item with a 1/4” screw socket in the base (such as wireless flash triggers) to be attached directly to the MC1033E bracket. - 5/8" socket in the base, for attaching to light stands. 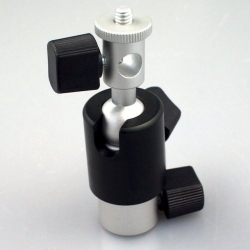 - Cold shoe mount on top, for attaching flashguns / speedlites. - 1/4” screw thread on top, for attaching wireless flash triggers. 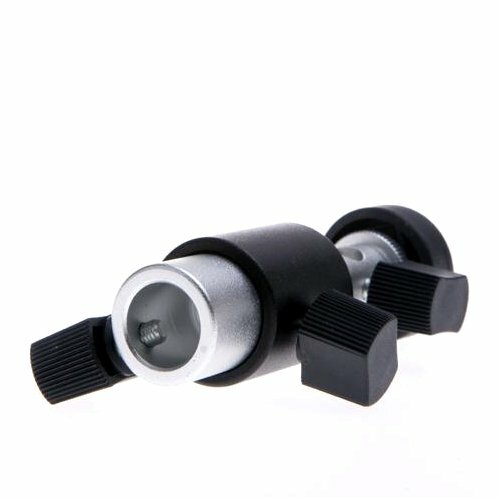 - 9mm diameter umbrella receptacle. - Ball head for ultimate flexibility in adjustment.